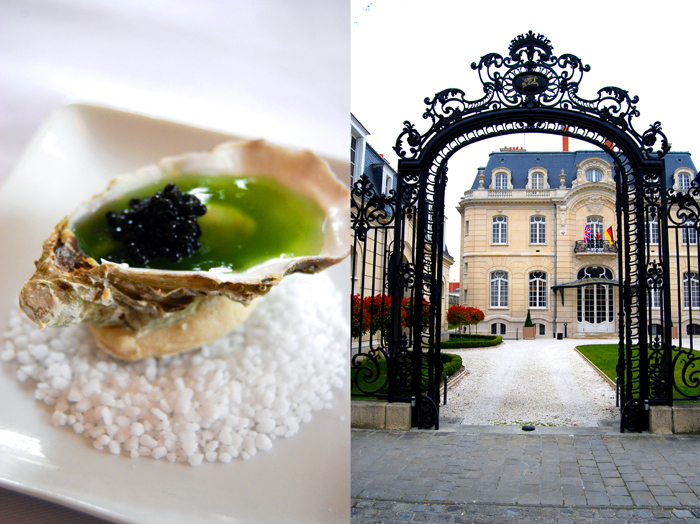 Paris, Reims and Champagne, I had an exciting start to the week! I was invited by Champagne Jacquart to join a Vins Clair tasting in Reims, the pure, still wines which form the foundation of every Champagne and I was happy to get a little insight into the mystique and the making of this wonderful sparkling drink from the northeast of France. 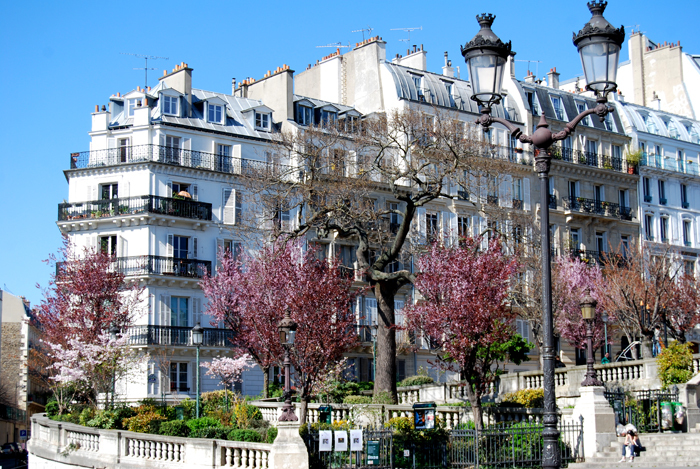 I was lucky, my trip started with a bright Sunday in Paris. Warm and sunny, it couldn’t have been better, I walked down the boulevards, along the Seine passing the beautiful Musée d’Orsay. The charm of this city is contagious, it just puts a smile on my face! 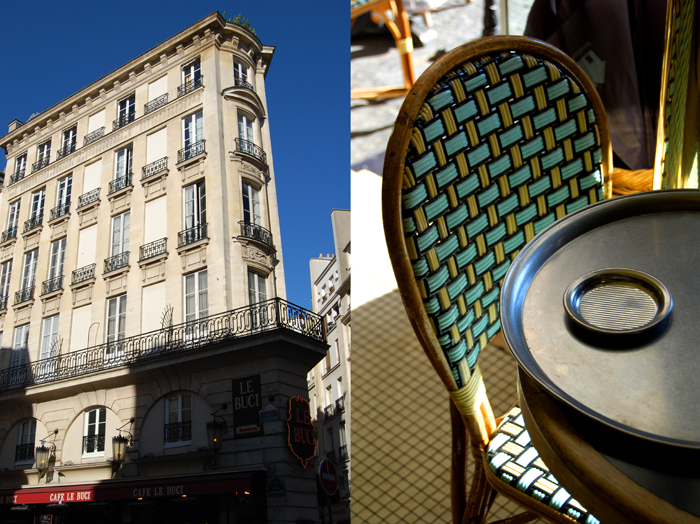 I took a rest at a romantic bistro on Rue du Bac in the VIIe arrondissement and enjoyed an amazing Terrine de Canard accompanied by a glass of Sancerre. Life at its best, wonderful! 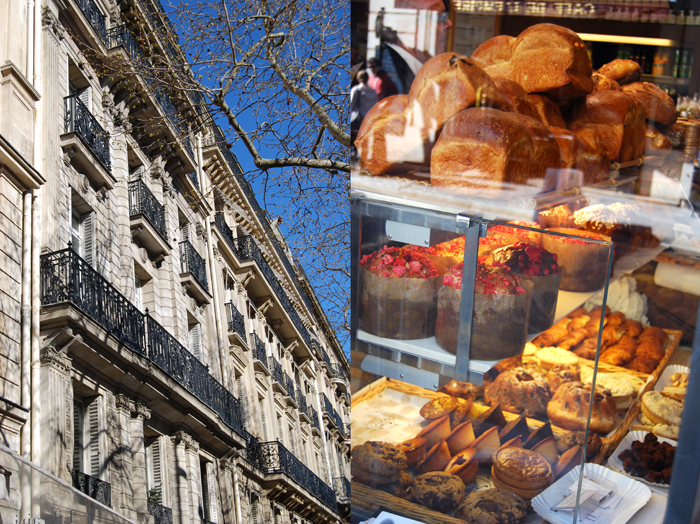 A visit to a boulangerie and patisserie reminded me of my love for the French baking tradition. 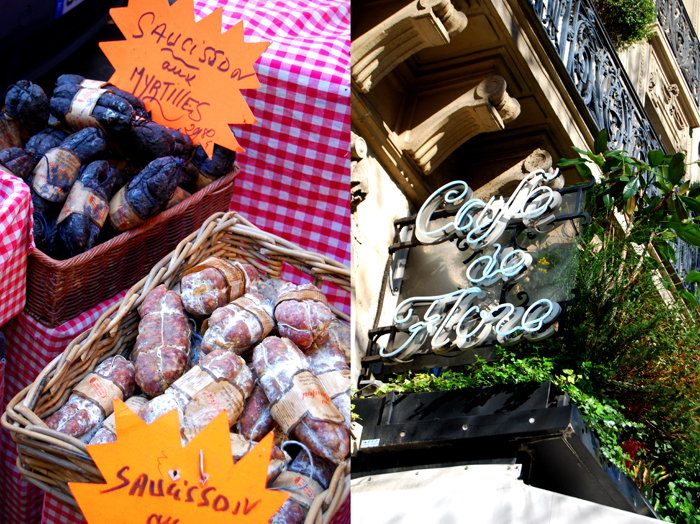 I left with bags full of bread, a delicious dark loaf and a fine Pain Platine and, of course, some sweets. I’m obsessed with Éclairs au Café, so as soon as I stepped out of the boulangerie, I opened the bag and had a big bite of my favourite éclair. It was delicious, as expected! In the evening, I joined a few other bloggers and journalists at dinner who were also invited to learn more about Champagne. We were all excited about what the next day would bring! Diane from Jacquart welcomed us to their headquarters in Reims. 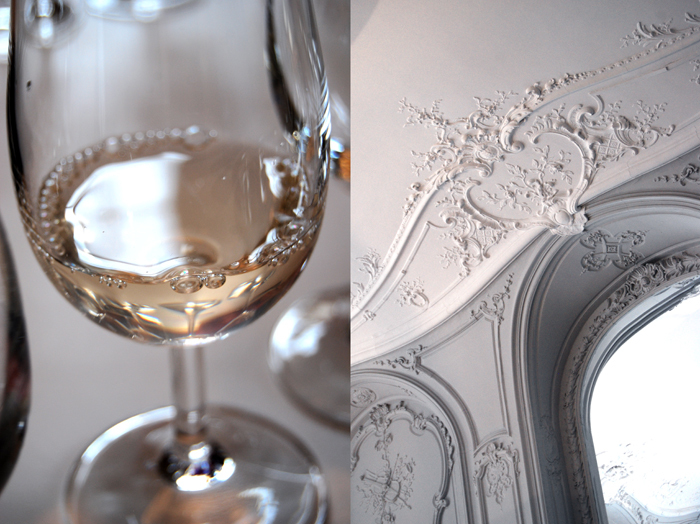 Her sweet and lively way and her love for Champagne made me curious to find out more about this legendary place. Reims is located in the Champagne-Ardenne region, 130km / 81 miles northeast of Paris. We took the TGV high-speed train and arrived just 40 minutes later! After a short drive we turned into the Boulevard Lundy in the center of historic Reims. We stopped in front of a beautiful villa, with a curved pebble stone driveway surrounded by boxwood bushes. I walked through the iron gates and entered another world! The house, called “Hotel de Brimont”, was simply stunning. 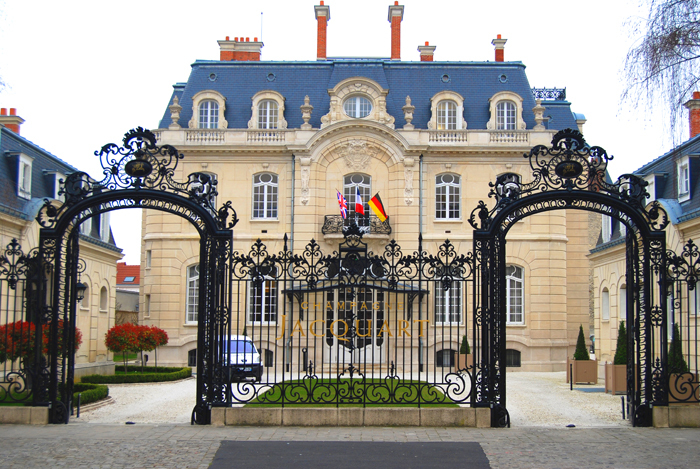 It was built in 1896 and is surrounded by all the other prominent Champagne houses. 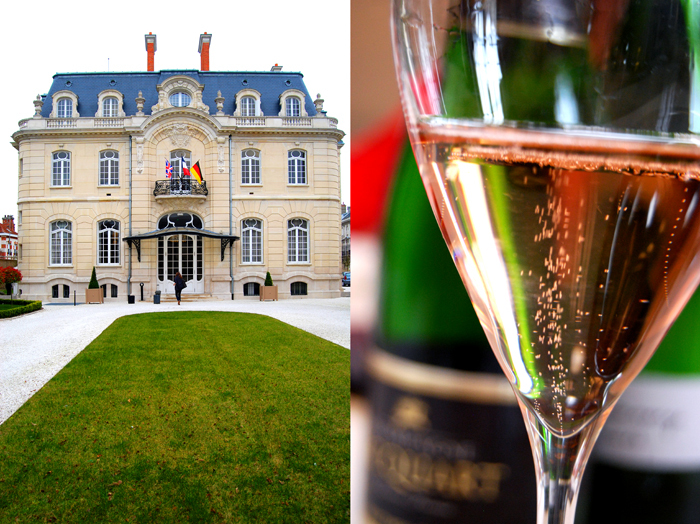 In this prestigious neighborhood, a few houses form the center of the Champagne world! 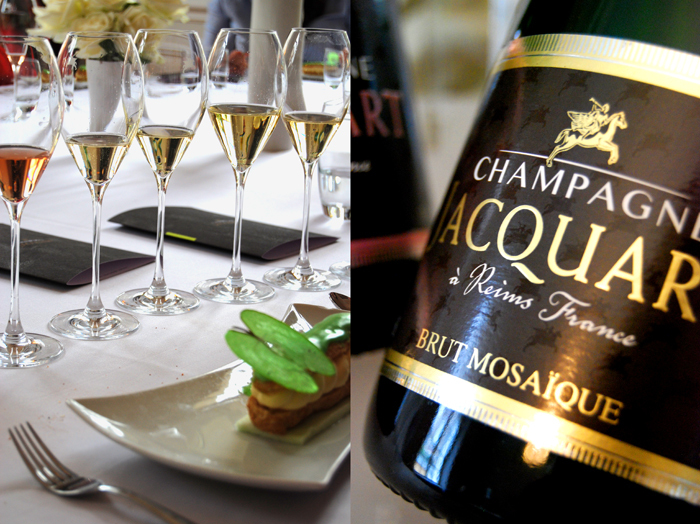 Jacquart’s history is different to other big Champagne houses, it was written by a few visionary growers who decided to form a cooperative to launch their own Champagne instead of supplying their grapes to other Champagne houses in 1964. 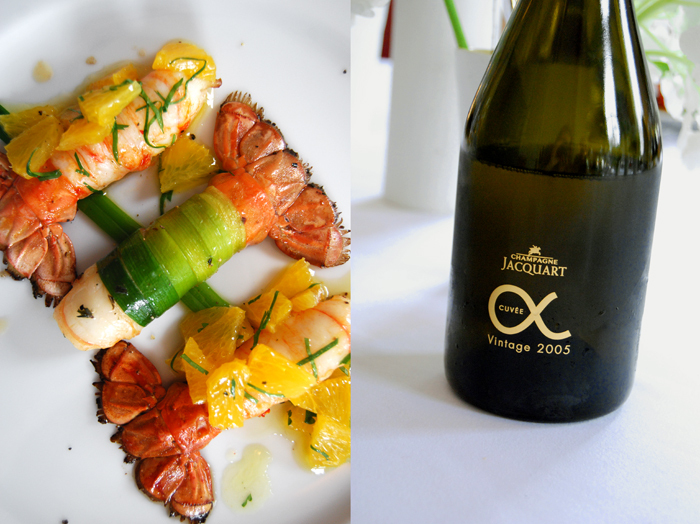 In the late 90’s, 3 regional cooperatives of growers united to form the Groupe Alliance Champagne and bought the established Jacquart brand. Today, 1800 growers make up this alliance, all together owning more than 7% of the surface area of the Appelation Champagne, 60 crus (villages) in the Côte des Blancs, Montagne de Reims, Vallée de la Marne and Côte des Bar. 10 of them are classified as Grand Crus and 22 as Premiers Crus assuring grapes from the finest terroirs in the Champagne! It started as a vision and led to great success, the growers holding shares in the brand guide its direction and development! The grapes used for Champagne are Pinot Noir, Pinot Meunier and Chardonnay, they ripen on the slight hills, rich in chalk, and make the cuvée, the blend for the Champagne. The secret of each cuvée lies in the composition which is where Jacquart’s oenologist Floriane Eznack comes in, she’s young but very experienced, open minded and absolutely passionate about her product. Together with her team she finds the right composition for the different cuvées every year, mixing them in graduated tubes, trusting their fine senses to feel the wines’ temper and style, to let them express themselves within the blend carefully, without letting a single one becoming too overpowering. It’s a science but above all, an art! Directly after the harvest which is made by 100.000 pickers every autumn, the grapes are pressed separately for each cru and filled in stainless steel tanks. The first fermentation creates the Vins Clairs (clear or still wines) after a filtering process. 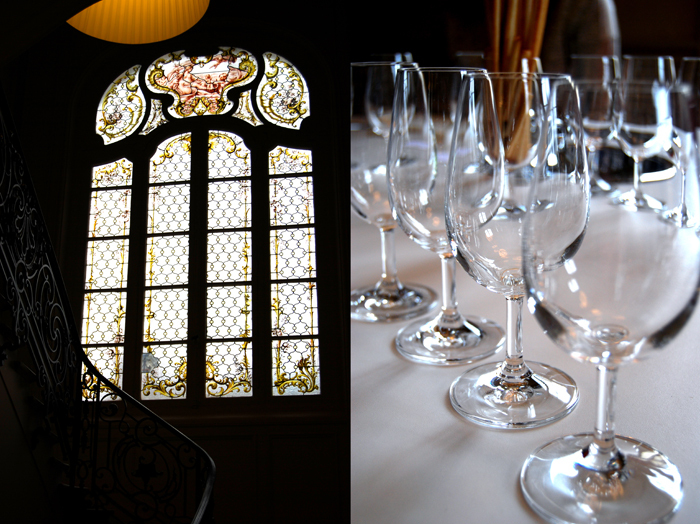 Around 4 months later, the oenologist assembles the different Vins Clairs to create the cuvée. For example the Cuvée Brut Mosaïque, is made of 50 different wines. I tasted 7 different Vins Clairs at Jacquart and it’s hard to imagine how one can develop a memory for so many different tastes! When the right composition is found, the wine is filled in bottles together with a small amount of yeast and sugar. In the following 8 weeks, gas starts to develop in the bottles turning the still wine into sparkling wine. After more than 15 months (or 3 years for the Brut Mosaïque and 5-6 years for vintage wines) in a horizontal position, the bottles are repeatedly shaken for 21 days (the remuage or riddling), gradually tilting the bottle neck down and drawing the sediments into the neck. These sediments are eventually removed by freezing the bottle neck through a quick cooling process. This forms a plug of ice which shoots out when the bottle is opened leaving behind a bottle of sediment free wine. Sealed with a cork the Champagne is ready to be sent into the world! I learnt so much about Champagne, the grapes, Vins Clairs, I could write about so much more but Champagne is best when experienced personally, the region, its history and of course, the drink as well. So I can only recommend a visit to Reims! 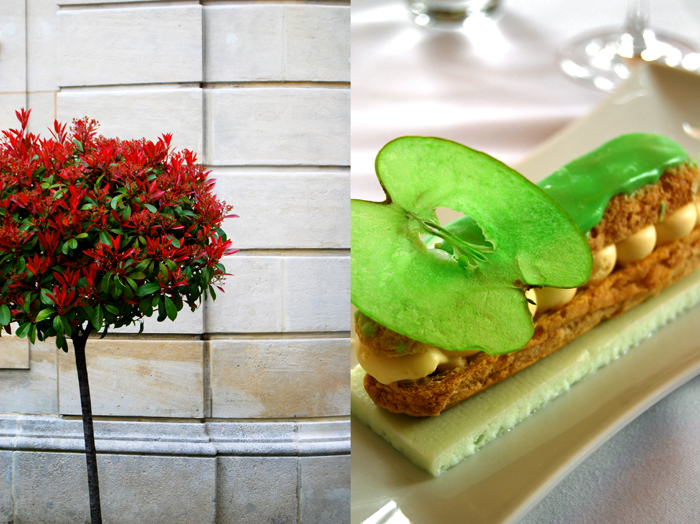 As we enjoyed a wonderful lunch together, Floriane declared that Champagne is the celebration of the moment. I agree!